Finding information in the Social Networks has never been so Easy and Fun with Social Searcher! Start your search with the input field on the home page or use input field on the top of the other pages. Check up bulk keywords submission, exact keywords and minus keywords in the search options. 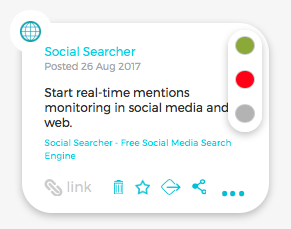 Register at our service to save your searches, set up email alerts and get access to the premium Social Monitoring features. You can provide a number of keywords for searching. Enter each keyword in to the Keywords text input and click on the plus icon to add it to the search. By entering your keywords in to the Exact Keywords text input, you are telling Social Searcher to consider the exact words in that exact order without any change. Minus Keywords text input is used for filtering out the posts with specific words. 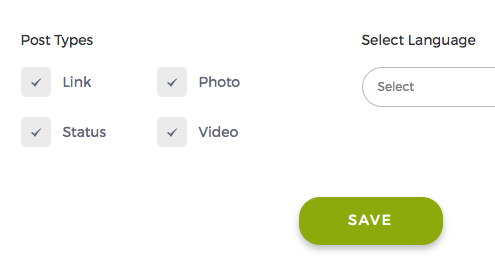 Registered users can save their searches by pressing the "Save" button. By checking and unchecking specific social networks, you may exclude unnecessary ones from the search. Web option is available only for the Social monitoring. - Video post has an attached video or a link to the famous video share services like Youtube, Vimeo etc. - Photo post has an attached image or a link with the *.jpg, *.png, *.gif in the end. - Status post has only a text content. - Link post has an attached link, which doesn't seem to be a video or an image content type. 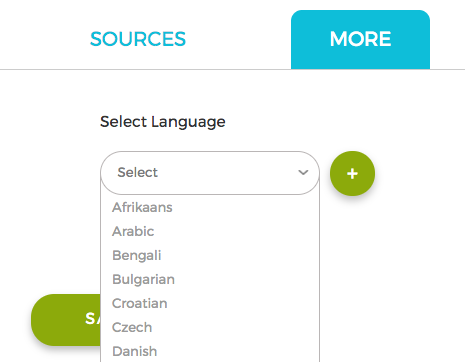 There is a possibility to add 10 out of 42 languages for the more accurate searching. Sentiment analytics is avaliable in English, German, French, Italian, Portuguese, Russian, Dutch, Spanish. Generally, posts in the search results have similar fields for all the social networks. User info: name, profile link and a small photo. Post message: message text, sentiment, attached link and embed image or video. Post info: type, date and popularity. Post tags: user defined tags for the post. Tab General shows summary information about posts timeline, posts by social network, posts by week day and by hour. Hashtags information contains the most actively used hashtags and their clickable map. Posts sentiment is calculated with the help of Positive and Negative words collection. Positive posts have small green square in the right top corner of the post and they are represented with a green bar on the summary chart. Negative posts are marked with red color and neutral ones with gray. Popular users are ordered by the popularity of the posts in the search results and active users - by the number of posts. Here you can find summary information about top links domains, as well as the most popular and shared links per social network in the search results. Posts types analytics charts represent distribution of the content types in the search results. Types of the posts are described in details here. For the keywords analytics only original messages parts written by the users are used, it means that all links, videos or images names and descriptions are excluded. Switch ON "email alerts" to get live notifications about new search results by email for the saved searches. "Export" button allows to export displayed search results into the CSV format. 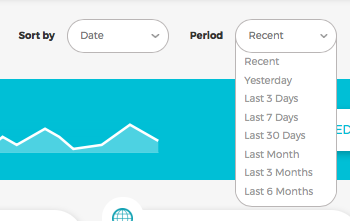 For the saved searches with started Monitoring function, "Export" button will provide all cached posts for the selected time period, not only displayed ones. Premium Social Monitoring feature for the saved search is available for the premium plans. Switch ON "monitoring" to enable caching of the search results by the system. Your data is stored as long as your subscription is active. Select one of the time periods for the mentions preview and getting their advanced analytics. Check your account limit usage and manage subscription. Number of the real-time requests is shown for the Free accounts and posts limit for the Premium ones. All posts for the saved searches with monitoring have additional buttons in the bottom: delete post and add it to favourites. Also you may click on the post sentiment and change it if necessary. Get a full control over the cached posts by API integration. 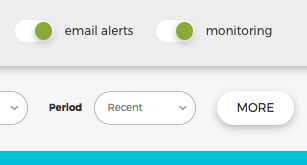 Also you can get immediate notifications by email about new social mentions for the saved search with monitoring if email alerts are enabled. RSS feed is available for all searches with started Social monitoring. 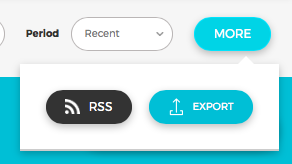 Click on the button with RSS icon and get a link to the feed, which can be used in lots of creative ways, check up our blog post 30 Awesome Ways for Using RSS Feeds.